This month I'm sharing three special cakes, they're sentimental cakes that are simple to make and really delicious. 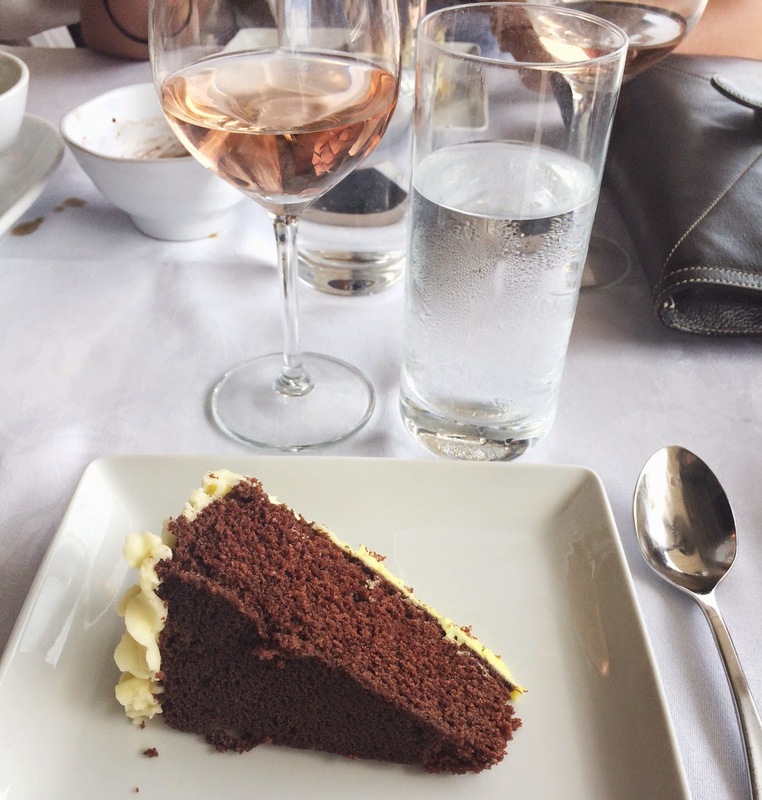 First up is Jemma's famous chocolate birthday cake. In my group of friends, whenever Jemma says she'll make the cake, we know it'll be her chocolate fudge cake with thick buttercream icing. It's the kind of cake I remember taking home in lolly bags, wrapped in a napkin. This particular cake has a long history, my friend Marina remembers having it at Jemma's 16th birthday party and it's one that Jemma's mum Jenny made for her year after year as she grew up. 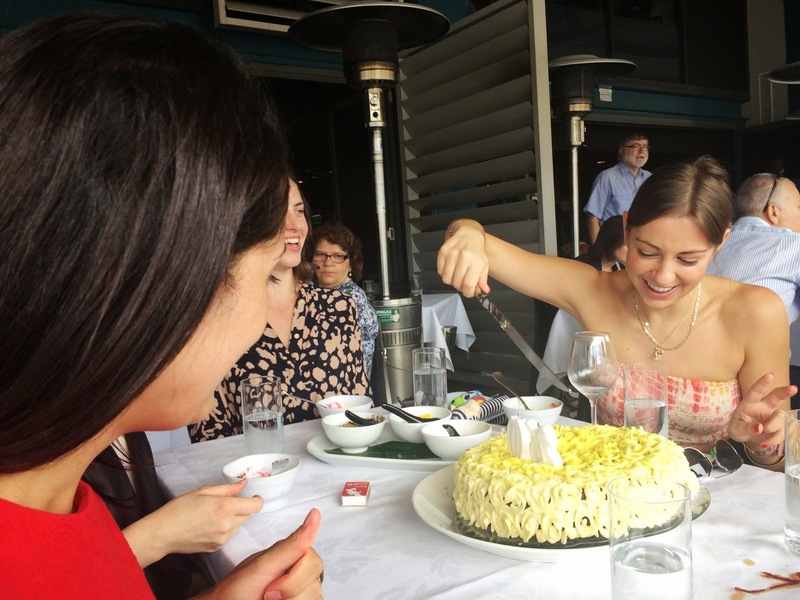 A few weeks ago, Jemma made a giant version of the cake for Irini and Marina, who were having a joint lunch to celebrate their 30th birthdays. 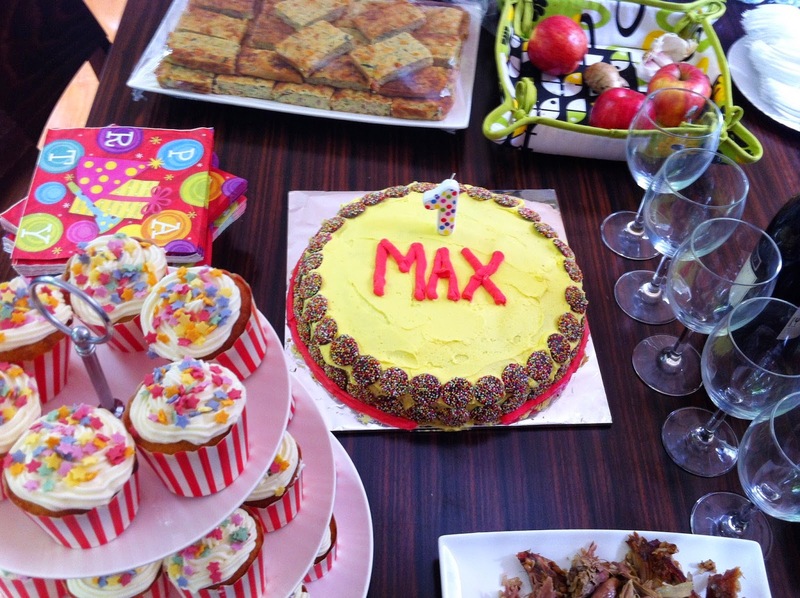 The year before, she'd made the brightest version for Marina's son's first birthday. Preheat the oven to 180 degrees celsius and grease and line a large cake tin. Put the butter into a large mixing bowl and add all of the dry ingredients. Add the water and vanilla and beat on medium speed until the ingredients are creamed and well combined. Add the eggs and increase the speed. Pour into a greased cake tin and bake for 35-40 minutes until cooked. To make the icing, gradually sift the icing sugar onto the butter. Beat until combined and delicious.